A temptation in the contemplative life is to step away from our theological and Biblical underpinnings and become self absorbed in one’s own experience of God. Prayer, meditation, and contemplation are important practices, but without turning and returning to the Word of God in scripture we may lose our bearings. The witness of those who came before us, which we find recorded in the narratives, histories, wisdom literature, and poetry of the Bible forms us in the mystery of the human experience of the Holy One. Yes, the Bible is sexist, racist, contradictory, bound by historical events, political realities, tribal animosities, tedious, nonsensical, and a host of other limitations imp0sed by the motley crew of human beings, who have put their hands on it. The Bible also has the hands of the Holy One on it. It is shot through with the sublime and transcendent Holy Spirit, who has chosen to associate with our species (only God knows why) and expose itself to all our messes, as it calls us and holds us accountable to a Being greater than we ourselves. In scripture we learn about our roots, who God is and who God calls us to be. We come to know the nature of God, the limitations and weakness of the creation and what it means to be in right relationship with God, with ourselves and with one another. Scripture is a privileged place of meeting the Holy One and a powerful means of spiritual growth. The discipline of daily Bible reading and reflection holds our feet to the fire. We are unable to squirm away from confronting difficult texts, hard sayings, and truths we may not want to hear. Being moored to scripture keeps us from floating off into philosophical abstraction and metaphysical flights of fancy, by anchoring us to the specific ground of God’s revelation in time and space in particular communities and individuals. Likewise reading scripture encourages us to pay attention to God’s revelation in the concrete messy details of our own lives. Here is a resource for daily Bible Study I highly recommend. 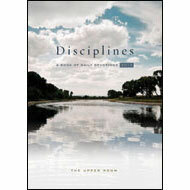 Disciplines – A Book of Daily Devotions 2013. Find light for your daily walk with God through The Upper Room Disciplines. In this best-selling devotional book, 53 writers from diverse Christian backgrounds and locales help you explore the Bible’s message for your life. New in 2013: Each week opens with a Scripture Overview, followed by four questions or suggestions for reflection for personal or small-group use. Widely available online and at your local bookstore in Kindle and paperback, Disciplines 2013 makes a thoughtful gift for Sunday school teachers, pastors, or anyone who wants to mine the rich treasures of scripture. Here is a little story about the power of reading the Bible. 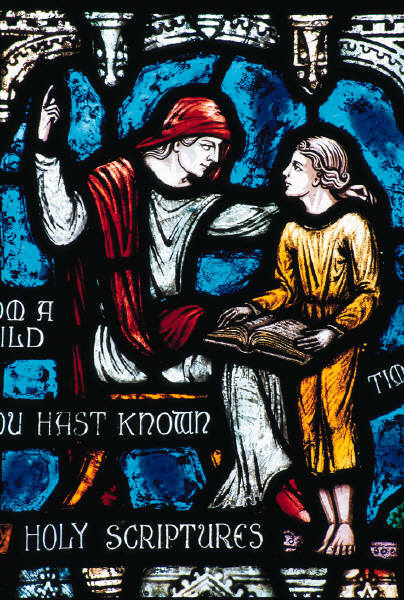 Immediately my countenance was changed, and I began most earnestly to consider whether it was usual for children in any kind of game to sing such words; nor could I remember ever to have heard the like. So, restraining the torrent of my tears, I rose up, interpreting it no other way than as a command to me from Heaven to open the book, and to read the first chapter I should light upon. For I had heard of Antony, that, accidentally coming in whilst the gospel was being read, he received the admonition as if what was read were addressed to him, “Go and sell that thou hast, and give to the poor, and thou shalt have treasure in heaven; and come and follow me.” And by such oracle was he forthwith converted unto Thee. This entry was posted in Bible Study, Contemplation, prayer, Scripture, Spiritual Formation, Spiritual Practices and tagged Bible, Daily readings, DIY, New Revised Common Lectionary, prayer meditation, religion, Upper Room Disciplines 2013, word of God. Bookmark the permalink. Just yesterday I preached on the Old Testament story of King Josiah finding the scroll of Deuteronomy hidden in the Temple. During the week I was writing the sermon, I felt a nudge to read the Bible through in a year. I’ve never done that before because I get behind, feel guilty, and quit. But I’ve started again, and I’m way ahead of schedule in just a couple of days. This post was like another nudge from God that daily Bible reading is important for my spiritual journey, and easier than I thought it could be. And I love the quote by NT Wright. Thanks for this post! What is the devotional book for 2013 that is connected to the Revised Common Lectionary? When I click on the link I am take to the lectionary but cannot find a devotional book connected to it. Thanks so much for your suggestions. Patty, Here is the link to the book below. It is titled Upper Room Disciplines 2013. If this link doesn’t work just google this and you will find it.